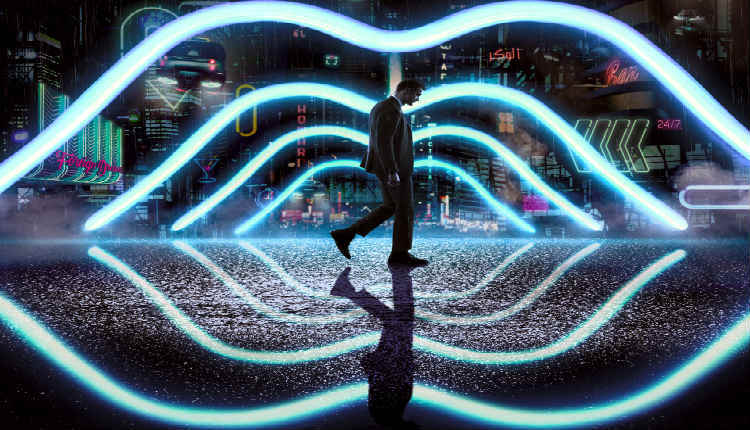 Mute Looks to Be Another Fascinating Exclusive from Netflix | Nerd Much? Duncan Jones helped come up with the concept for Mute over 12 years ago. So, with the first Mute trailer dropping this morning, it must be an exhilarating experience for the up and coming director to see such a long gestating idea finally come to life. Jones co-wrote the script with his collaborator Michael Robert Johnson. The film stars an excellent trio of Alexander Skarsgård, Paul Rudd and Justin Theroux. Sam Rockwell has a role in the movie as well, however, he isn’t seen in the sci-fi flick’s first trailer. Skarsgård is at the center of the story which takes place in Berlin roughly 40 years from today. His character is a mute bartender on the search for his missing (and mysterious) girlfriend. His only clues come via two American surgeons played by Rudd and Theroux. Mute marks the continuation of Netflix’s attack on modern cinemas. It’s another big budget outing that will be exclusive to the streaming service. 2017 saw several high profile exclusives, including Bright, and Mute will be the first major milestone of Netflix’s 2018 campaign when it releases on February 23rd. Stay tuned to Nerd Much? for our review when we can get our grubby little hands on it. Want to know what other upcoming sci-fi movies are coming in 2018? Check out our mega list.